When I think about a cafe nowadays, I imagine people chilling, sometimes with friends catching up, or alone surrounded by laptops and gadgets working hard or just browsing, all with a mug of coffee sitting not too far. Then again, that could just be me. The SkyPark Café in Hyderabad, India, however, wants to go a little further. 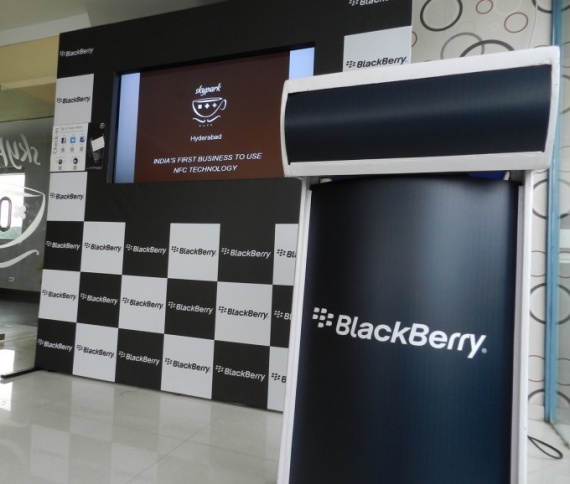 It will become the first BlackBerry equipped cafe in India. The cafe will be set up with BlackBerry PlayBooks, NFC points and a BlackBerry Music Gateway to play music to customers jukebox style. This venture is brought on by a partnership with RIM and BBin. The PlayBooks can be used to browse, work and play on and will also double as the menu. One PlayBook will be dedicated for use with the Music Gateway, dubbed the "Music Jukebox". As well as that PlayBooks will also be used by waiters to take orders. 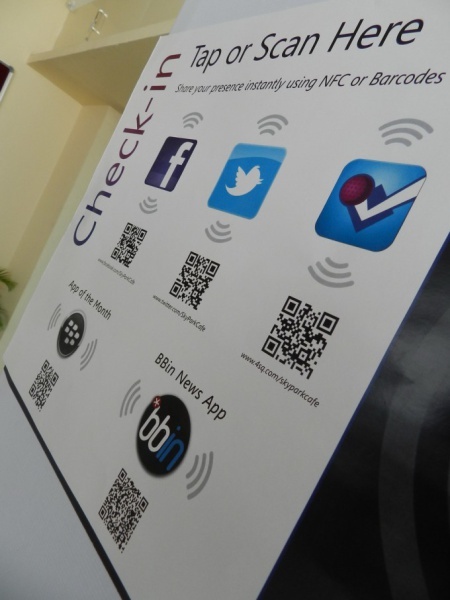 There will also be a wall dedicated with NFC stickers for customers to easily check-in with NFC-compatible devices. There will also be QR codes that people can scan to avail of freebies as well an App of the Month offer. 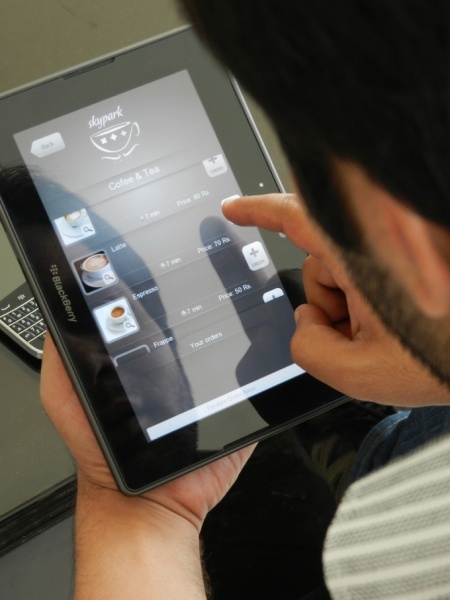 I don't know about you but I sure would like to have a cafe that is BlackBerry equipped in my nearest city. I'd turn it into a local CB meet-up venue. Bring this to the U.K. please. Continue reading for more pictures.